We are a company of attraction and talent development. Our mission is to link the best candidates with the ideal opportunities in the workplace, through the deep knowledge of the characteristics of the candidate and new labor trends. We are passionate about transforming lives by offering new alternatives to our candidates, and providing the best talent to the companies that entrust us their recruitment processes. Exercise unquestionable leadership in the industry of attraction and management of talent. Be the #1 option for engineering companies and industrial projects that require specialized talent in the shortest possible time. Be recognized and sought by companies with the best business practices to carry out their most important recruitment processes. At STN People we seek long-term relationships with companies that promote talent development and the best business practices. "STN People nos ha brindado un acompañamiento profesional y ético en nuestros procesos de Atracción de Talento y Administración de Personal"
"STN People nos ha ayudado a encontrar excelentes ingenieros, hoy se han convertido en una parte crucial de nuestro equipo de trabajo"
"Le agradezco enormemente al equipo de STN People por el apoyo y colaboración en el proceso de reclutamiento para nuestra vacante. Fue una experiencia muy grata y recomendable"
“El mayor atributo de la participación de STN People en el Departamento de Productos Químicos de Symrise, puedo asegurar, es el Servicio Integral y disponibilidad"
From Monterrey NL, México, SECODISA SA de CV, our mother company, was born in 1986 with the target of satisfying the needs of the industry through the development of investment projects, from feasibility studies, engineering, equipment manufacturing, assembly, installation, construction, and commissioning of production lines, as well as related services required by the client; personnel management, project manager, outsourcing. SECODISA is a leading company in turnkey projects for the industry. 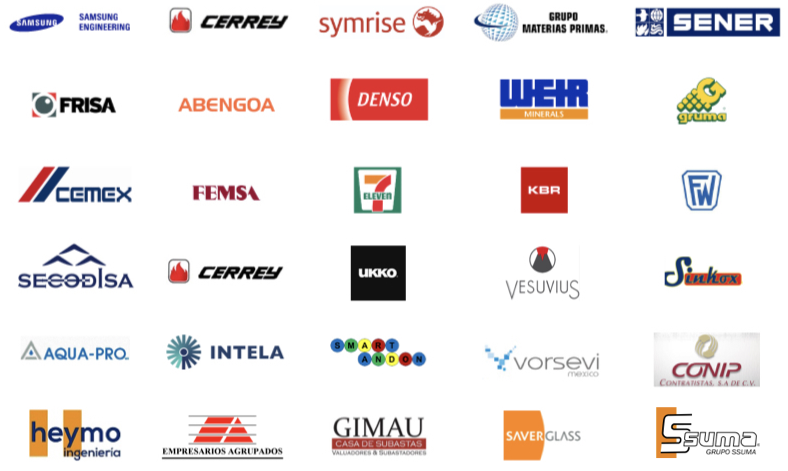 Based in Santander (Cantabria), Spain, VÈRINGER ADVANCED ENGINEERING is our other half. A company specialized in talent management of people throughout Europe and the rest of the world, in finding the most suitable position in the labor market for your profile. Its goal is to manage the talent in the most appropriate way to archive personal success and that of the company that has relied him with talent management. VÈRINGER specialized in complex sectors such as Oil & Gas, Energy, Food and Beverage, Protection, etc. Meet our online platform for specialized training in different areas of engineering, such as: Process engineering, electricity, Fire systems, Mechanical Engineering, etc. Our professors are specialists in their field with more than 20 years of experience in the engineering environment.